June 9, 2014 Conversation Starters: Taylor Swift Practices Her Filipino And Is Too Cute For Life + More! 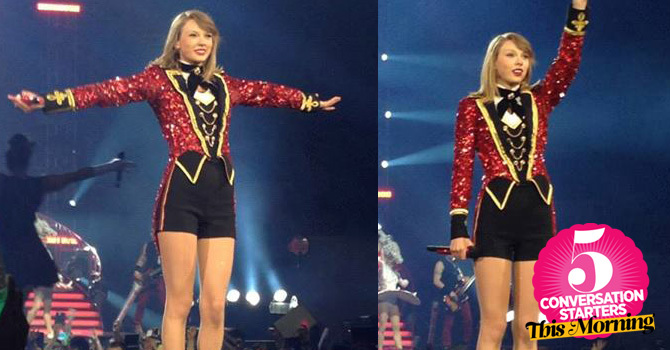 1 How cute is Taylor Swift practicing her Filipino, before she went onstage during her Red Tour Manila concert on Friday, June 6? The singer posted this video of her with Filipino backup dancer Mark, with the caption, "Mark and I, talking the talk in Manila."